Fire is an act that needs no introduction! 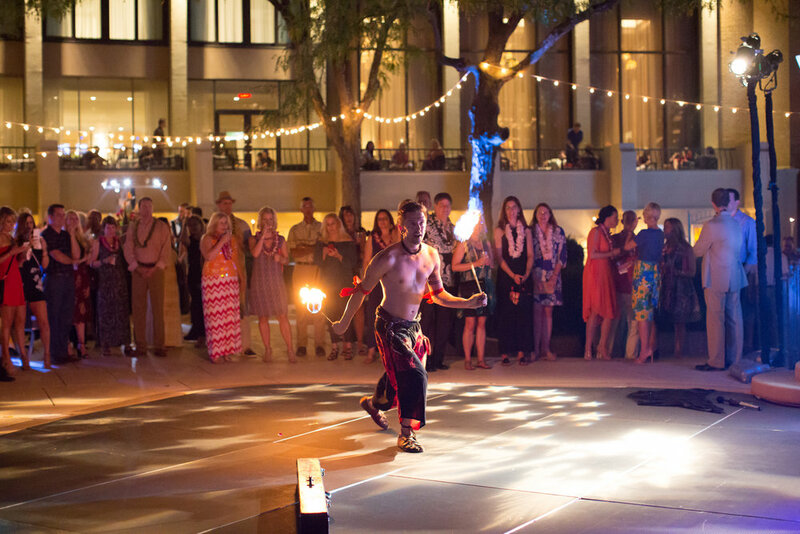 Many of our performers are skilled in at least one or more fire disciplines. Moondrop offers fire eating, fire breathing, and fire manipulation including apparatuses like staff, juggling torches, hula hoops, fire fans and more! MoonDrop Circus has a commercial permit with the City of Kansas City that covers fire manipulation at private events, as well as our public street shows. We use industry standard fire safety gear, and fire assistance to keep our fire acts safe. Most fire acts can NOT be performed indoors unless it is permitted by the building owners, and only under specific and safe circumstances. MoonDrop asks that the have a radius of 30 feet or more when performing fire acts. Let Moondrop add a flash of intrigue to your private event!